A soul that is to win others must be great and wide as the ocean. To convert the world, one’s soul must be greater than the world. Such was St. Paul from the day when a sudden light from heaven shone round about him, and threw its radiance into his soul, and enkindled therein the burning desire to fill the world with the Name and Faith of Christ. The Apostle of the Gentiles — his work is his name. Untiringly he laboured till the sword of the executioner sent his indomitable spirit to God, and then his writings lived on, and ever will live, to continue his mission. It is the way of the Church ever to join him with St. Peter in its prayer, which is praise indeed. 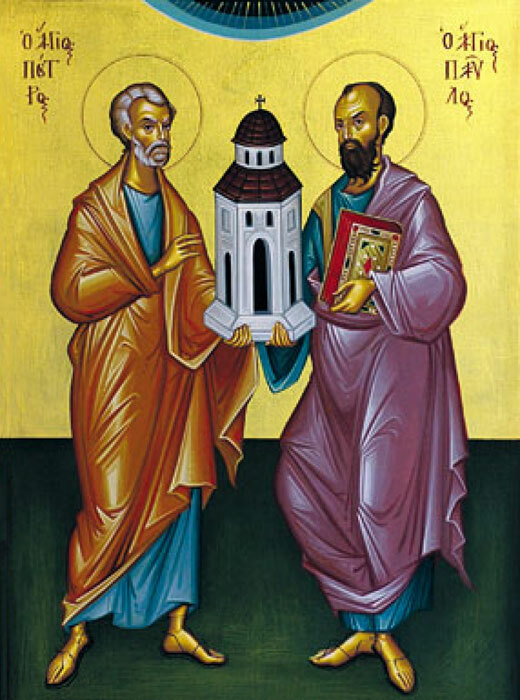 It is fitting, too, for together these two great ones consecrated Rome by their martyrdom. The Church celebrates their feast on the same day.